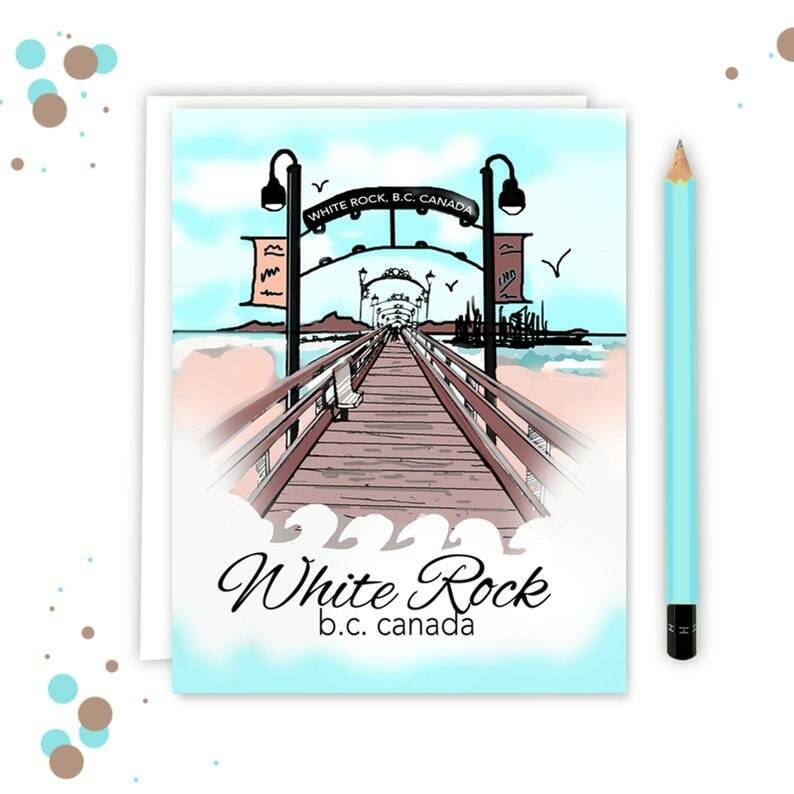 White Rock, the home of the now infamous White Rock Pier , that was tragically destroyed December 2018 by fierce windstorm that allowed sailboats to break free and crash into the pier. Several boats ended up wedged underneath the pier's pilings, which eventually broke the pier in half. Now in the process of rebuilding, the wooden pier will forever be remembered and loved. This illustration was a product of many photos I've taken over the years of enjoying this pier.